COME JOIN THE FUN AT OUR FESTIVALS ! 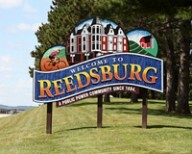 Reedsburg is a community that likes to celebrate and have fun, and we have four great seasons to do it! We have several fun festivals, and they each offer something different to the people who come out and participate in them. We’re sure there is one meant just for you – so come on out and enjoy! VET FEST: Our April festival celebrates activity and healthy living. This well-organized fest features a half marathon through the scenic Reedsburg area, in addition to a 5K run/walk, a 1 mile walk and a kids race. Vet Fest continues to grow in popularity and profits from the event support local veteran's activities and the Reedsburg Area United Fund. Organized by a group of people who just love to run for the fun of it, the Vet Fest committee has thought of everything a serious runner looks for in a race, so if running or walking is your passion, you won't want to miss Vet Fest! For more information contact Jeff at (608) 524-6459. BUTTERFEST: Reedsburg is proud to have been the "Butter Capital of the World" in the late sixties, seventies and eighties, when our local milk processing plant produced more butter than any other place in the world! To celebrate that fact, our week-long Butter Festival was born, and for over 40 years Butterfest has been one of the great traditions of Reedsburg. Organized by a dedicated group of volunteers who, for one week in June, (Dairy month – of course!) pull together an old-fashioned festival consisting of the Miss Reedsburg contest, tractor pulls, arts and craft show, demolition derby, several live bands, a carnival with concessions, a Saturday parade and their famous Knights of Columbus Chicken Barbeque! Great family fun! FREEDOM FEST: This great Fourth of July celebration begins in the afternoon at Nishan Park, where food vendors, kid's games and live entertainment will keep the family busy until dusk. While the final schedule of events varies slightly each year, the Freedom Fest committee brings in several bands, food vendors and fireworks professionals to guarantee a great family experience for our community. Sometimes Uncle Sam even shows up to make an appearance! A grand fireworks show tops off the evening as thousands of onlookers watch the beautiful and brilliant display light up the dark night sky. For more information contact (608) 524-2850 or go to reedsburg.org. FERMENTATION FEST: Join the 20,000 people who come each year to Fermentation- A Live Culture Convergence held the first two weekends in October! This is a food and farming festival with a focus on fermentation. Authors, chefs, bakers, scientists, chocolatiers and cheesemakers will provide plenty of food for thought. From bread baking, beer making, and chocolate tasting, Fermentation Fest is loaded with food events, live demonstrations, cooking classes and brewing seminars. Attendees will learn take-home skills, enjoy samples and experience hands-on what fermented foods have to offer. Also, the first Saturday of October features a great craft show and hot chili waiting for you at the Fire Department! FROSTY FEST: This February festival is meant to help you shake those winter blues and is intended for singles, couples and families to get out and do something. Past events have included both indoor and outdoor activities, such as snowshoeing, cross country skiing, ice skating, snowman building and winter golf, as well as scavenger hunts, Scrabble tournaments, card parties and more. 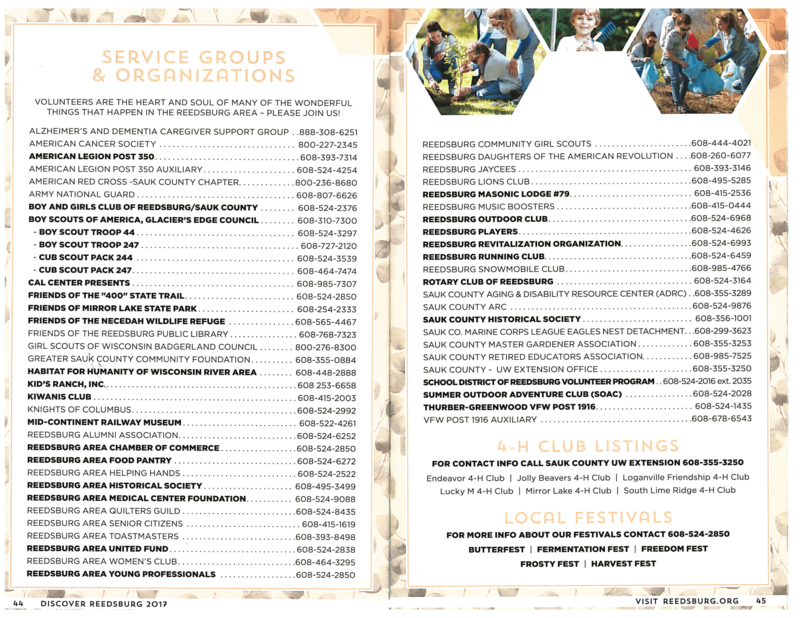 All Frosty Fest events are sponsored and organized by private individuals and businesses, so they are held throughout the community at various host locations.